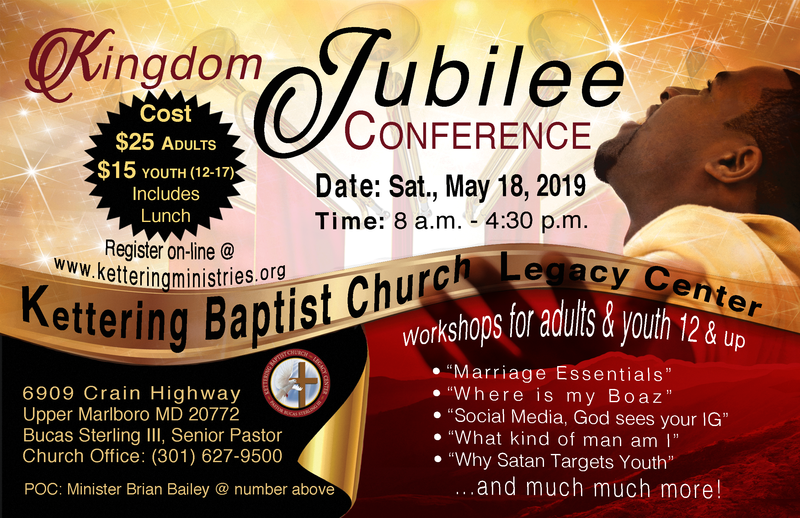 COME ONE COME ALL to the Kingdom Jubilee Conference – Kettering Baptist Ministry Leaders will be hosting our first church-wide conference on Saturday, May 18th from 8am to 4:30pm. There will be sessions throughout the day to address an array of topics. This conference is for you, your family and friends, our community, and surrounding churches. The NON-Refundable cost is $25 for adults and $15 for youth (12-17) and includes boxed lunch. Please click here to register. Click here to see the Conference Agenda.